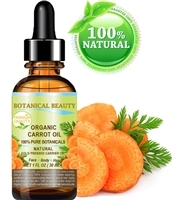 CARROT OIL ORGANIC is rich in beta carotene, vitamins A and E and pro-vitamin A. 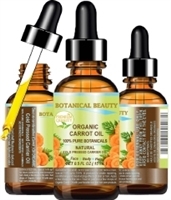 CARROT OIL helps to heal dry, chapped and cracked skin, balances the moisture in skin, and well conditions the hair. Carrot Oil Organic helps to keep nails strong and healthy and keep cuticles soft and manageable.